Apple has previewed iOS 11.3, a new software update which will bring “major updates to ARKit, Messages and more,” including new Animojis on iPhone X, the ability to view health records in the Health app and updates to ARKit. According to a new press release from the Cupertino company, the new iOS update, which could launch for developers to begin testing as early as today, includes several significant new features. The update will bring new features to show a device’s battery health, with the ability to make recommendations when a battery needs to be serviced, something Apple noted would launch within an iOS update last December following mass controversy over the announcement that Apple deliberately slows older iPhones with aging batteries to prevent performance issues. The feature will be available for the iPhone 6, iPhone 6 Plus, iPhone SE, iPhone 6s, iPhone 6s Plus, iPhone 7, and iPhone 7 Plus. Additionally, iPhone X owners will soon have four new Animojis to send, including a lion, bear, dragon, and skull. Following this update, the Animoji character count will rise to 16. In addition to horizontal surfaces like tables and chairs, ARKit can now recognize and place virtual objects on vertical surfaces like walls and doors, and can more accurately map irregularly shaped surfaces like circular tables. 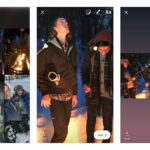 Using advanced computer vision techniques to find and recognize the position of 2D images such as signs, posters, and artwork, ARKit can integrate these real world images into AR experiences such as filling a museum with interactive exhibits or bringing a movie poster to life. The new update will also add a new Health Records feature to the iOS Health app in the United Sates to make it easier to access and control health records and data, as users will be able to store records from your doctor or hospital on the upgraded Health app. 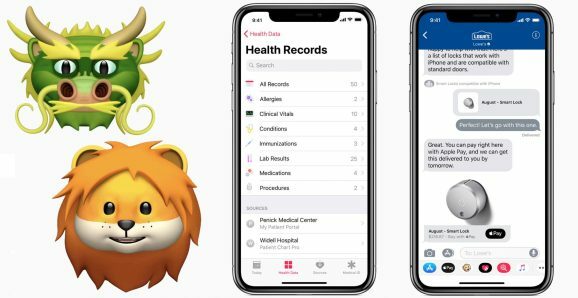 “Patients from participating medical institutions will have information from various institutions organized into one view and receive regular notifications for their lab results, medications, conditions and more,” Apple explains. Finally, Apple is adding a “Business Chat” feature, which allows users to directly talk with businesses within Messages. Partners at the launch will include Discover, Hilton, Lowe’s, and Wells Fargo. With Business Chat, users will be able to have a conversation with someone at the company, schedule an appointment, make a purchase with Apple Pay, and more. The developer preview of iOS 11.3 is available to iOS Developer Program members at developer.apple.com starting today, followed by a public beta preview available at beta.apple.com. Apple notes that iOS 11.3 will be available this spring as a free software update for the iPhone 5s and all later models, all iPad Air and iPad Pro models, iPad 5th generation, iPad mini 2 and later and iPod touch 6th generation.